Much of Africa could be considered fairly dangerous by western standards and to be honest, the wildlife in Africa is probably the least likely thing that will kill you. In general African animals are far more at risk from humans that visa versa. That said there is no denying that Africa is home to some of the deadliest big animals on land and water (or both).Whilst many of Africa’s big land animals are only interested in defending themselves or their territory there are a few that will actually consider you as an easy dinner. Given the range of habitats across this continent it is not surprising that Africa has plenty of creepy crawlies capable of giving you a scare – or much worse. Both tropical and desert regions are home to some equally unpleasant bugs such as scorpions, spiders and the odd flesh-eating fly. The arid landscapes of North Africa make it ideal for scorpions and this is probably why two of the deadliest scorpions on the planet can be found here. The aptly named deathstalker is found throughout North Africa and possesses an extraordinarily painful sting laced with a cocktail of powerful neurotoxins. Despite only measuring around 2.5 inches (58mm) in length this scorpion can kill. Equally dangerous is the much larger fattail scorpion. The latin name for this group of scorpions is Androctonus which translates as “man-killer”, pretty much summing up this highly venomous arachnid. Africa also has its fair share of spiders (not including the beast in the photo above which isn’t actually a spider). Many of the potentially dangerous spiders can be found across the globe such as the violin (or brown recluse) spider, sac spiders and black widows. One spider that is unique to Africa is the six-eyed sand spider. Found in the deserts of southern Africa this spider’s latin name is Sicarius which means ‘murderer’. It is certainly venomous enough to rapidly kill small animals but comes into contact with humans so rarely that there have only ever been two reported bites. 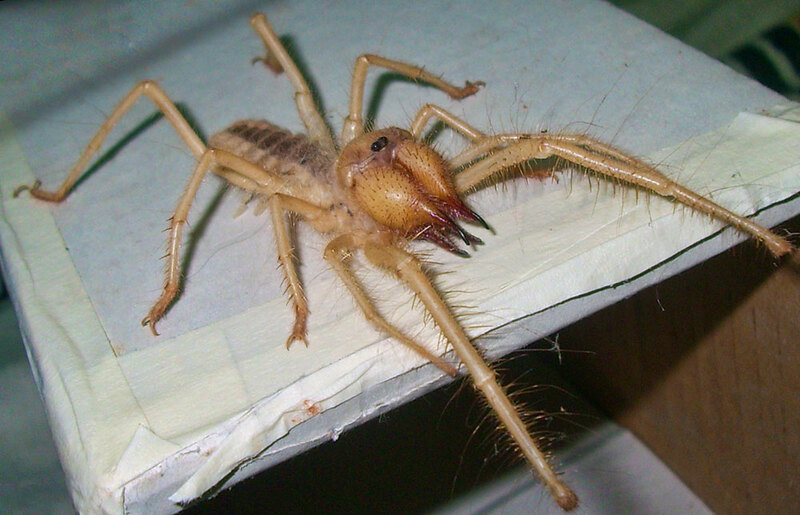 However, spiders and scorpions aren’t the only unpleasant creepy crawlies to be found in Africa. Perhaps the most stomach churning is the tumbu fly (Cordylobia anthropophaga). This species of blow-fly lays its eggs on the ground or often wet clothes (including underwear!) where they hatch into to tiny larvae. If a human, or other mammal, comes into contact with the larvae they will penetrate the skin where they take up residence. The larvae then develop into maggots by feeding on their hosts flesh whereupon they wriggle out and make their escape. Africa is home to two species of rhinoceros; the slightly misleadingly named black rhinoceros and the equally confusingly named white rhinoceros. They are actually more or less the same color – gray. It is thought the name ‘white’ rhino is actually a mis-translation of the Afrikaans word ‘wijd’ meaning ‘wide’. Names aside there is one thing about rhinos that won’t cause any confusion – their size. These tank-like beasts are huge. 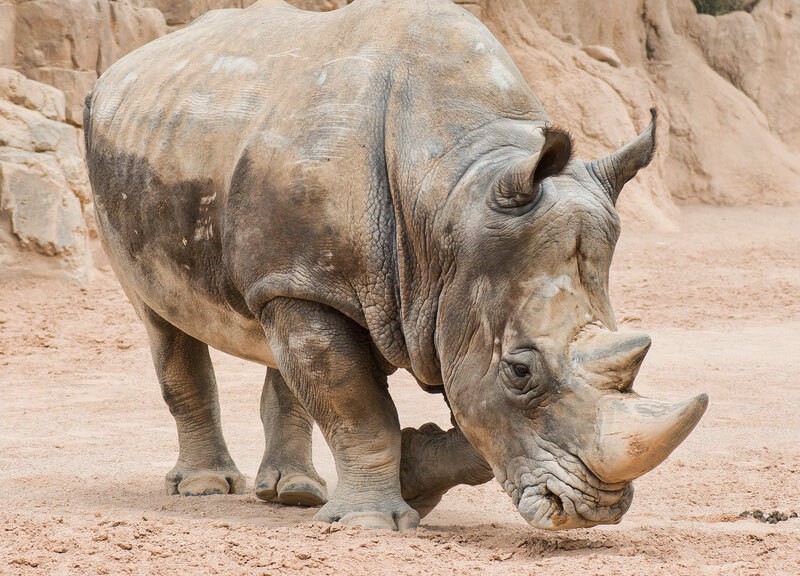 The black rhino weighs in at up to a whopping 1,400 kg (3,300 lbs), but that’s considerably smaller than the massive white rhino which can weigh over twice that. However, the rino’s armoury doesn’t end with its sheer bulk. Not only is it fast (top speed of around 50 kmh / 30 mph) but it has those rather intimidating horns which can measure well over a metre (3 feet) in length. I’m not great at physics, but I don’t need to be to work out that horn travelling at over 50 km/h attached to something the size of a truck is going to cause more than a little damage. Combine all the above with the rhino’s bad eyesight, small brain, notorious bad temper and habit of charging anything that makes them feel even slightly uncomfortable and you have one dangerous beast. Sadly most of us won’t get the chance to be killed by a rhino in the wild as humans have done such a great job of driving them to the edge of extinction. If you were to think of the sharkiest countries on earth chances are you would suggest Australia and South Africa. Both these countries are home to sizeable populations of the daddy of all man-eating sharks, the great white. However it is from Cape Town in South Africa that the famous footage of huge sharks leaping out of the water as they hunt seals comes. In fact, over recent years this area has become known as Shark Alley. South Africa’s reputation as a shark attack hotspot was solidified back in 2015 when professional surfer Mick Fanning was bumped by at least one great white shark during a top level surf competition at Jeffrey’s Bay. 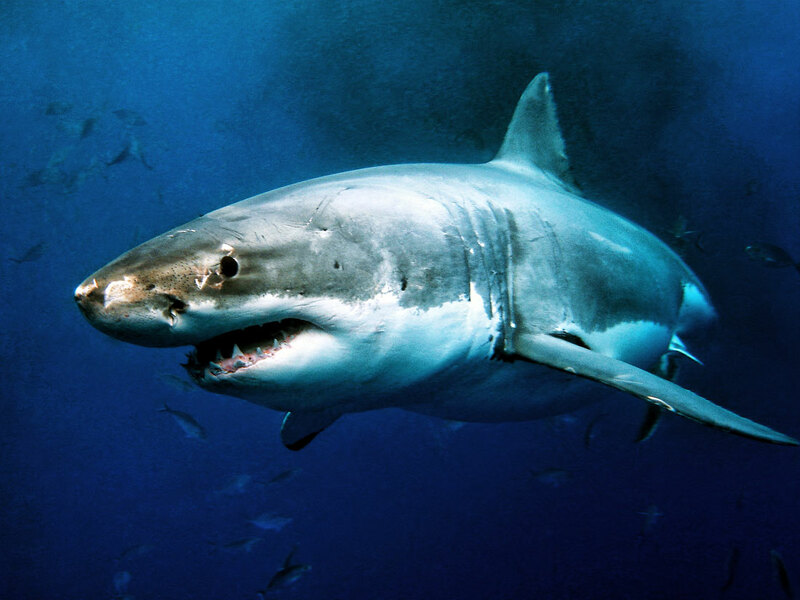 Whilst South Africa is most associated with the great white sharks all the other usual suspects exist here too. Areas such as the Kosi Bay estuary and Zambezi River are known as being home to large numbers of bull sharks (or Zambezi sharks as they are known locally). Meanwhile tiger sharks can be found along much of the warmer Indian Ocean coast – this is why all the main beaches in Durban have shark nets. But it isn’t just South Africa that has sharks. There are plenty in neighbouring Mozambique and Réunion Island, off Madagascar, has been plagued by deadly shark attacks over the last five years. Then there is Egypt, where back in 2010 there were a number of shark attacks at the Red Sea resort of Sharm el-Sheikh. These left one person dead and four seriously injured. Whilst still not known for sure it is suspected that an oceanic whitetip shark was responsible, although some say there may have been a mako too. Well most of the time that’s the case. For some unknown reason elephants generally seem to be quite tolerant of humans, but there are times when elephants can be very dangerous to be around. This time is known as ‘musth’ and it is when bull elephants become loaded with up to 60 times their normal level of testosterone ready for mating. Even the most mild-mannered of elephants can turn into deranged giants ready to attack just about anything that moves. There are plenty of reports of elephants in musth attacking and killing rhinos without provocation. Whilst musth-crazed elephants might present the greatest danger there have been a few more sinister cases of elephant attacks. Over recent years there have been a fair number of cases in which elephants have destroyed villages. A popular theory for why they might do this is revenge. There is no doubt elephants are intelligent and emotionally developed but there might also be some truth in the saying “an elephant never forgets”. So if at some point a member of the herd is shot by hunters it may be that one day the same heard will decide to reek revenge on the local population. There are three species of cat native to Africa that can realistically kill a human; the lion, the leopard and the cheetah. Whilst the smaller, lighter cheetah is a less realistic proposition, the other two can and have killed, in the hundreds if not thousands. It is debatable which is the most dangerous out of the lion and the leopard, although in Africa it seems the death toll would strongly support the lion. These days there are around 700 cases of lion attacks every year in Africa, many of which end in a fatality. There is little doubt of the lion’s ability to kill, it is what they are designed to do and an unarmed human stands practically no chance against a 500 lb (200 kg) lion. In addition lions have a long history of man-eating behaviour and there have been some truly shocking cases over the years. One such case involved not just a single lion but a pride of 15 lions that went on a killing frenzy in Tanzania during the 1930s and 1940s. 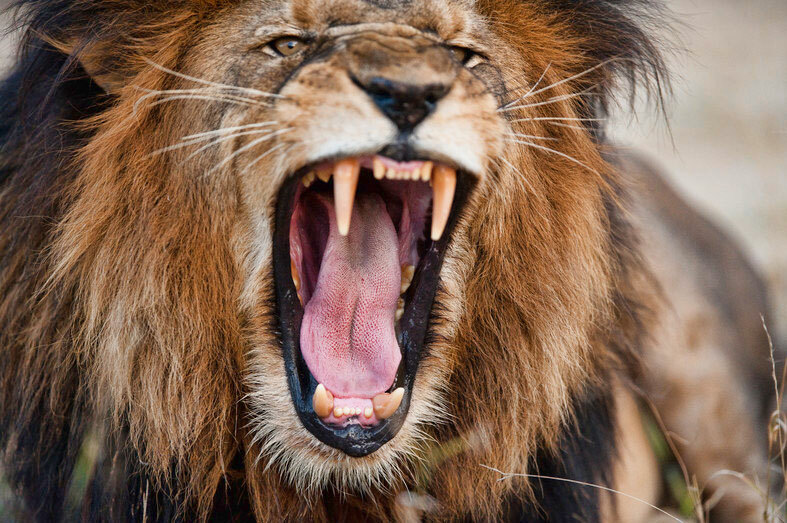 The so-called Lions of Njombe are said to have killed in the region of 1,500 to 2,000 people during their reign of terror. Travelling by night and killing by day it was believed locally that the lions were under the control of a witchdoctor named Matamula Mangera. It was only in 1947 that game warden George Rushby eventually caught up with the pride and shot them. Another well known case of man-eaters is that of the Tsavo Lions of Kenya. During 1898 these two lions preyed on construction workers were building the Kenya-Uganda Railway, dragging their victims from their tents in the dead of night. In just nine months the pair of lions are said to have killed as many as 135 workers. Leopards have a different hunting approach to lions. Instead of being quite as brazen and relying on pure power to wrestle and strangle their prey, the leopard uses stealth and cunning, finishing off its quarry with a killing bite to the neck or skull. In the wild leopards have been known to have taken on gorillas, so a human isn’t going to offer much of a challenge. In addition to the power of the leopard’s bite there is also a high chance of picking up a bacterial infection from being bitten; in fact historically, this was a caused more deaths than the leopard itself. Another difference between leopards and lions is that leopards hunt alone. However, this has not stopped rogue man-eaters managing to rack up enormous numbers of kills. For example the Leopard of Panar in Northern India went on a killing spree in the early 1900s which killed 400 people. Whilst that was India there have been plenty of cases in Africa too. Also known as the “Black Death” or “widowmaker” the African or Cape buffalo is regarded as one of the most dangerous large animals on the continent. You could think of it as just a big cow but the fact that, unlike its Asian counterpart, this buffalo has never been domesticated would suggest otherwise. The reason for this is its highly unpredictable nature which makes it far too dangerous to be a farm animal. The Cape buffalo falls squarely into the “big with horns” category of dangerous animal. About the same height as a man at the shoulder these feral cows can weigh up to a ton. And those horns are definitely not just for show; a quick search on the internet will reveal plenty of footage of these killer-cows taking out lions and having a go at just about anything. 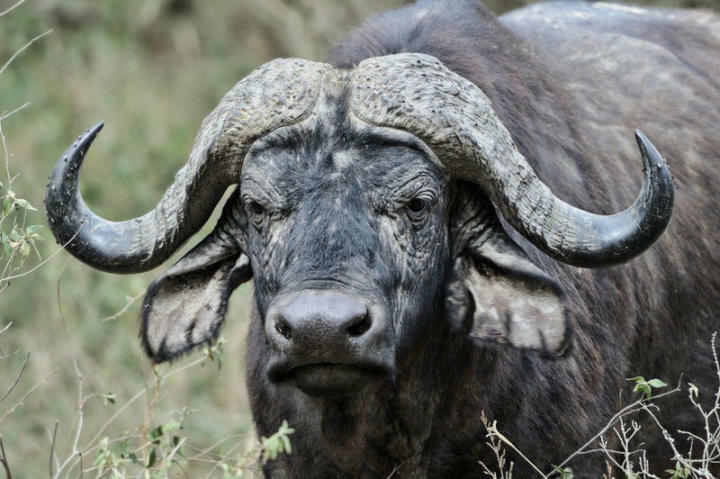 Apparently though, the buffalo is at its most dangerous when injured – stories tell of injured animals waiting in ambush for hunters when pursued and then attacking furiously. Whilst African buffalos do kill several hundred people a year there is some degree of karma in this figure. The buffalo is considered the most dangerous of the “Big Five”, i.e. 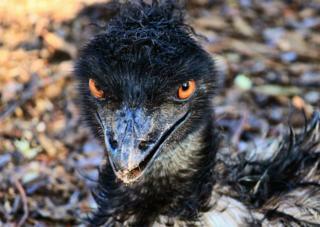 top trophy animals hunted by big-game hunters. It allegedly causes more deaths among hunters than any of the others. As these hunters like to tell us so often about their sporting prowess and how it is them pitted against a deadly wild animal, it’s fine by me if the animals notch up a few kills too. The Nile crocodile is Africa’s very own Godzilla. 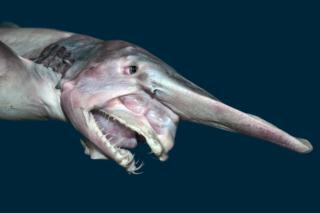 Growing up to 20 ft (6 m) in length and over a ton in weight these animals are the closest thing to dinosaurs alive today. Although a little smaller than the saltwater croc, the Nile crocodile causes far more fatalities every year. This is largely due to the fact they live in close proximity to humans and that, surprisingly enough, for such an impressive carnivore, Nile crocs are quite common. Estimates range from several hundred to up to a thousand attacks every year and over half of these prove deadly. Unlike many of the animals on this list these attacks are not territorial or defensive either, they are purely predatory. 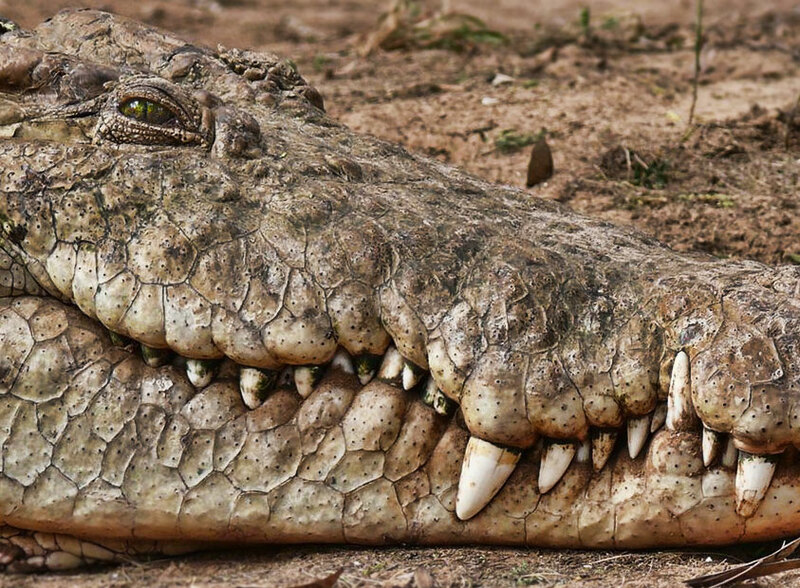 Crocodiles are at the top of the food pyramid and are opportunistic hunters meaning they will eat practically anything that comes within their range. Nile crocodiles have no fear of humans and see them as just another easy meal. Out of the water these crocodiles are not so much of a risk as they can be fairly easily outrun. In the water it is a different story; Nile crocodiles hunt by stealth, remaining completely or almost completely submerged until prey is detected. At this point the croc will explode into action luging at the prey and clamping it in its powerful jaws. The crocodile’s teeth are not used to inflict damage or tear apart the unlucky victim, but to grip it. Killing is generally by drowning but may be caused by the trauma of being thrashed around. Despite their slightly amusing appearance and friendly sounding name hippos are one of the biggest killers in Africa – literally. They can weigh up to 3 tons which makes them the third biggest land animal. So what makes hippos so dangerous? Size aside these animals are well armed; they have enormous tusk-like canines and slicing incisor teeth specially developed for fighting. 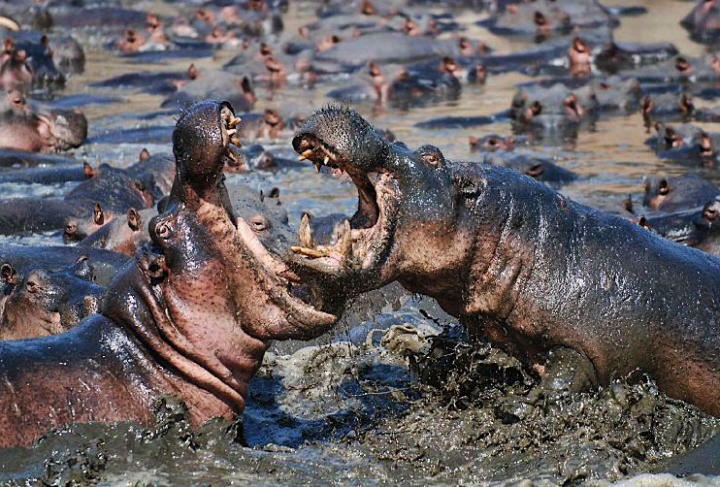 Not only this but the hippo has the most powerful bite of any mammal. At a measured force of 1821 PSI the hippo’s bite is over twice that of any big cat. 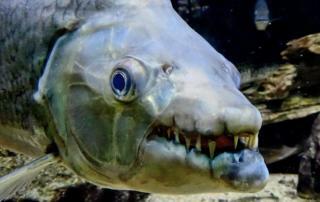 So, it doesn’t matter that those huge teeth are a bit blunt, these animals are going to have no problem causing some serious damage. In addition to the hippo’s bulk and lethal jaws they are not as slow as they look. 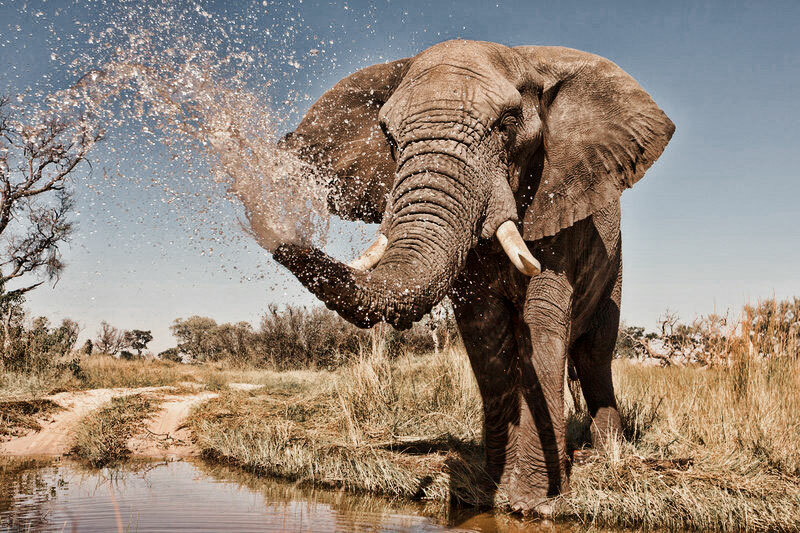 Whilst they may prefer to wallow around in muddy pools they can get a fair gallop on reaching speeds of around 20 mph (30 km/h). The final characteristic of the hippo that makes them so dangerous is their highly aggressive temperament. Whilst most big herbivores will ignore anything that doesn’t seem like much of a direct threat this doesn’t seem to be the case with hippos and they are highly territorial. Probably the majority of hippo attacks on humans have been without provocation and these occur both in and out of the water. If you ever do find yourself on the wrong end of a hippo charge the advice is to climb a (sturdy) tree. Although the hippopotamus is generally regarded as a herbivore there are reports contradicting this. In fact there are many accounts of them eating crocodiles, wildebeest, flamingos and even other hippos – but so far not humans. Maybe this is not the norm but meat-eating in hippos is far from rare. Whilst exact figures are rather patchy the number of people killed by hippos each year is anywhere between 500 and 3,000 depending on your source. OK, so this is the point most websites try and surprise you with the “shock” statistic that actually mosquitoes are the deadliest animals in the world. Well I don’t buy that. To me this is the same as saying water is the most dangerous drink on the planet because more people die from drinking dirty water. Mosquitoes are, like water, only the carriers of a number of nasty diseases and parasites. In this articles we aren’t looking at diseases so we will just be considering the lowest of the low in the animal kingdom – the parasites. These little beasts make a living by taking up residence inside the body of another animal or human. Sometimes this causes no apparent problem, however, in many cases it can have some very nasty effects. In terms of human parasites there are few places worse than Africa. They thrive in the tropical climate and a lack of effective healthcare in many areas compounds this. Some of the worst offenders are the roundworms – in fact four of my top 10 most horrific human parasites list were roundworms. These include the Loa Loa worm which spends much of its life undetected until it decides to slowly crawl across the undersurface of your eyeball. Then there are the filarial worms which clog up the lymph system leading to the massive swelling of the lower limbs (among other things). This debilitating condition which is commonly known as “elephantiasis” is yet another nasty which is spread by the mosquito. One of the more potentially life-threatening roundworm infections is ascaris. These worms get big, growing up to over a foot (30cm) in length. Whilst this might not sound too bad it becomes a problem when you have around a thousand living in your intestine, stealing your food and possibly obstructing your bowel. As if that wasn’t bad enough the larvae of the ascaris worm migrate to the lungs, possibly causing complications such as parasitic pneumonia. 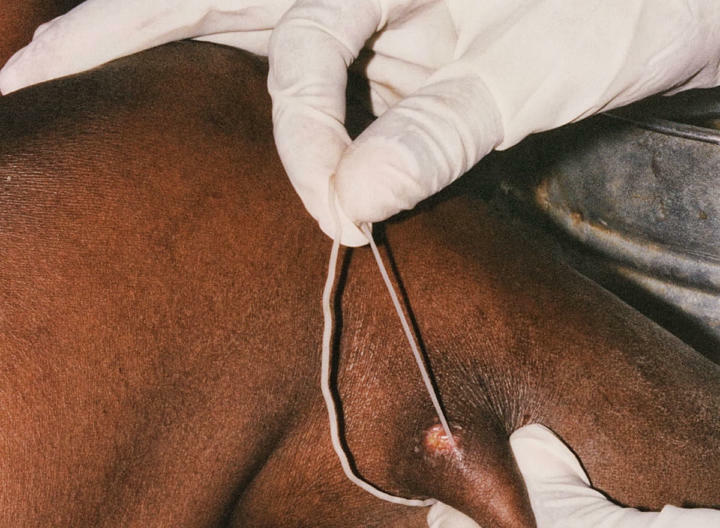 Another nasty nematode is the Guinea worm – named after the African country. This worm enters the body via contaminated water and then begins to grow, reaching an adult length of up to 50cm (18ins). When fully grown the worm begins its journey tunneling from the abdomen, through the pelvis and along the leg bones. At some point the worm will hit the skin ready to release hundreds of thousands of tiny larvae. This is when it needs to be extracted; the preferred method is to slowly wind the worm around a matchstick and pull it out over a series of days. Whilst parasites may cause a huge burden of suffering and slowly kill tens of thousands snakes are on the opposite end of the spectrum. No other vertebrate comes close to killing as many people in Africa as snakes do, and some of the species here are so venomous that this can take less than an hour. On paper the most dangerous snake in Africa would have to be the black mamba. Not only does it have some of the most potent venom of any snake, it is known for its aggressive temperament and is the fastest snake of all – capable of slithering at up to 6.8mph / 11kph. 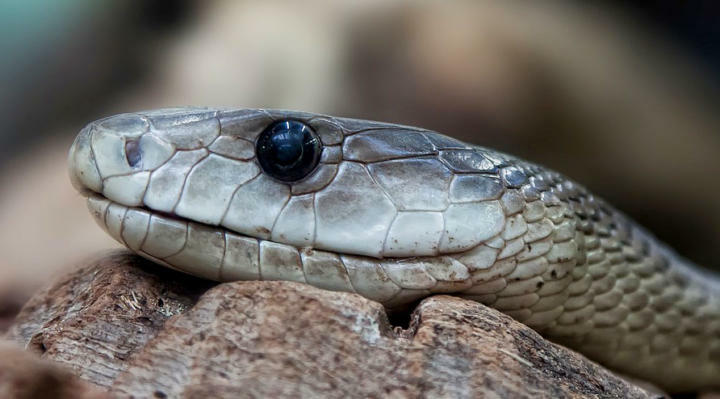 When attacking the black mamba will deliver multiple bites injecting enough neurotoxic venom to kill 10 people. The mamba’s bite is almost as painless as it is deadly; this was the case when a 28 year-old British student in South Africa was bitten on the finger whilst handling the snake. At the time he didn’t actually realise the snake had bitten him – an hour later he was dead. Whilst the bite of the black mamba may cause a quick and painless death this certainly is not the case for the puff adder. This snake’s cytotoxic venom is some of the most powerful of any viper and is both hugely painful and destructive. A bite can cause tissue necrosis right down to the bone with complications such as gangrene meaning affected limbs require amputation. Although the black mamba might be faster, more aggressive and more venomous it only accounts for around 1% of bites in South Africa. The puff adder on the other hand spends much of its time basking on footpaths where it comes into contact with humans meaning there are far more bites from this snake. As a result the puff adder is the most deadly of the African snakes. Overall in Africa it is estimated that anywhere between 4,000 and over 30,000 people are killed every year by snakes with a far higher number being seriously injured.